DETROIT -- Delphi Automotive is trying to raise as much as $578 million in an initial public offering next week. Delphi will offer 24.1 million shares at $22 to $24 each, according to a filing today with the U.S. Securities and Exchange Commission. Underwriters including Goldman Sachs and JPMorgan Chase & Co. have the option to buy and sell as many as 3.61 million additional shares, the filing said. The New York City-based hedge fund Paulson & Co., the largest shareholder in Delphi, looks to cash in a portion of its stake, selling 20.6 million of its 72.3 million shares. Paulson stands to rake in as much as $350 million from the IPO. Paulson's ownership stake will be reduced to 15.8 percent from 22 percent. Given outstanding shares, debt and total cash Delphi's estimated valuation is between $8.7 billion and $9.1 billion, said Richard Hilgert, an automotive equity analyst for Chicago-based Morningstar Inc.
Hilgert said Morningstar's fair-value estimate for Delphi is $9.1 billion. He said the deal is "not a compelling as I first thought it was but, depending on the final pricing, it still looks reasonable." The new public company's legal headquarters will be in the United Kingdom, but its operational headquarters will remain in the Detroit suburb of Troy, Mich. The stock will be traded on the New York Stock Exchange under the ticker symbol DLPH. 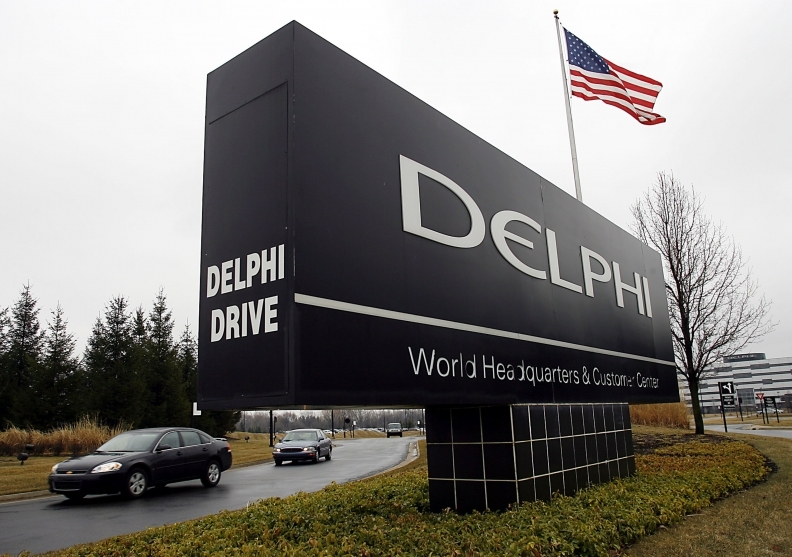 Delphi filed for bankruptcy in 2005, six years after spinning off from General Motors Corp. It emerged from bankruptcy in 2009, with hedge funds Silver Point Capital LP and Elliott Management taking a controlling stake. This year, Delphi bought back $4.4 billion of its shares held by GM and the federal Pension Benefit Guaranty Corp. in a move to make the auto supplier more attractive to investors. Shares will probably begin trading Nov. 17, Bloomberg reported last week, citing people familiar with the matter. Delphi is moving ahead with the IPO amid the turbulence in global markets and automobile industry. Billionaire Wilbur Ross in September moved to delay the offering of his International Automotive Components Group until at least January. IPOs totaling $8.9 billion were canceled or postponed in the third quarter. Editor's note: Some earlier versions of this story inaccurately stated the valuation of Delphi.